The Yantis family has been involved with the Alamo Bowl since the first game in 1993. The bowl started as literally the least ranked bowl in college football, but has grown over the years to be arguably the seventh best bowl in college football. It now features premier teams from the Big 12 Conference and Pac 12 Conference. Schools such as Texas A&M, the University of Texas, Texas Tech, Baylor, TCU, University of Oregon, University of Michigan, Ohio State and many other prominent programs. John Yantis served on the Board of Directors for many years and was the Chairman of the 2007 game which featured his alma mater Texas A&M against Penn State. The year that John was Chairman he helped recruit Valero to take over as the title sponsor. The 2007 game also still stands as the record attendance for a football game at the Alamo Dome with 65,380 fans. Mike Yantis, Jr. joined the Alamo Bowl board in 2010 and served on the Team Selection Committee and as the Chair of the Philanthropic Committee. While Chair of the Philanthropic Committee, the bowl contributed an extra $500,000 in scholarships over a two year period compared to past year’s budget. 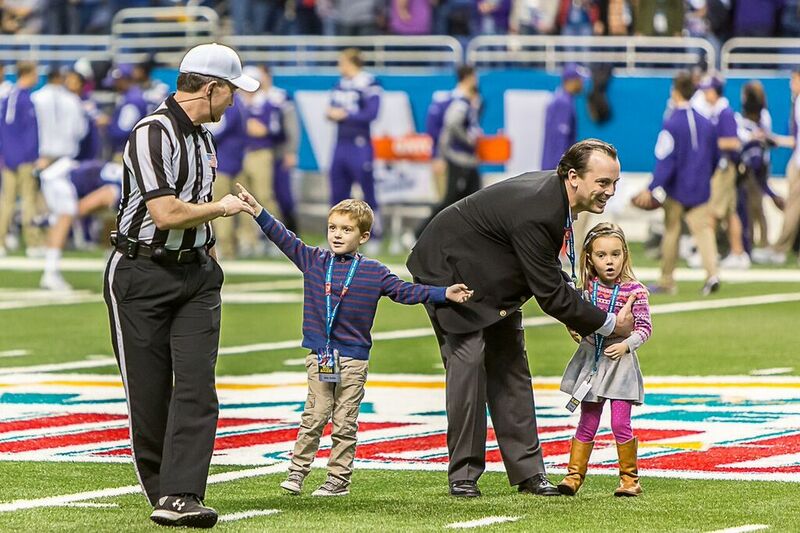 Mike Jr was named the Chair of the 2015 Alamo Bowl which featured an epic triple overtime game in which TCU overcame a 31 point halftime deficit to defeat Oregon. ESPN has called the game one of the greatest comebacks in the history of college football. While Mike was Chair the bowl also extended a long term partnership with ESPN and bid on a College Football National Championship Game.